I’m joined my Microsoft MVP Mark O’Shea to talk Microsoft 365, what it is, why it is important and how to implement it. Mark shares his experiences and thoughts on the product and why it so important going forward. There is of course our usual cloud news and updates from Microsoft so sit back and enjoy this deep dive episode into Microsoft 365. There is a small town in northern France called Villers-Bretonneux. In the local school the following sign stands. 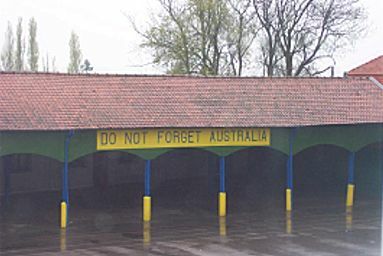 It is place that will never forget the sacrifice 100 years ago today that Australian made to liberate it from German occupation. 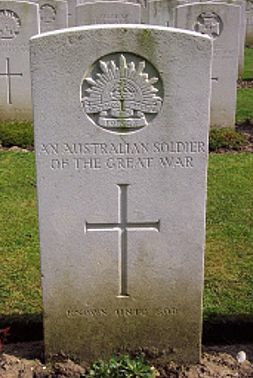 Less than three years after entering the First World War on the shores of Gallipoli, Australian and New Zealand (ANZACs) forces had taken part in some of the most fierce fighting in history in northern France. In one site near the town of Poziers, known as the Windmill, almost 6,600 ANZACs died in an area now covered by a single field. Today we have little concept of the horrors that these individuals went through or the sacrifice they made for their country, but more importantly for their ‘mates’. Although unruly at times the ANZACs were some of the most effective fighting forces of the war, being used time and time again as the tip of the attacking spear. Many went to their their deaths in the hail of bullets from defenders but they forged a unique place in our history that is only now being full appreciated and recognised. In a world of constant change we can look to the sacrifices of the past and say thanks for the benefits we now enjoy. The legacy of the ANZACs is carried on today by those who serve in the military, police, ambulance, fire fighters, nurses and more. Rarely are these people acknowledged for their service. Rarely are they rewarded adequately for what they do, yet we all expect them to be there selflessly when called upon. The 25th of April is a day we as Australians take to recognise the sacrifices of the heroes of yesterday and today. It is day that we say thank you for their service and recognise the contribution it has made to us as a society. Hopefully, it is also a day that we can also absorb some of that selflessness, bravery and dedication and apply it in our everyday lives. At the very least, we owe them that. 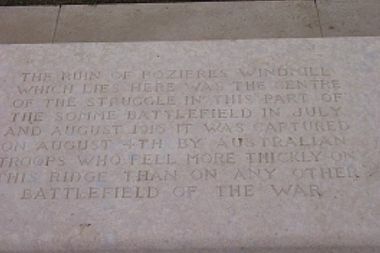 If you want to learn more about the ANZAC battlefields in northern France, visit my web site – www.anzacsinfrance.com. Here are the slides from the April Azure webinar where we took a look at web sites in Azure. We have a special interview for this episode, Doug Hazelman from Cloudberry Labs, to talk all about their backup solutions that include the ability to backup from places like Azure and Office 365 as well as from on premises. We talk about the products as well as the opportunities that Cloudberry provides for Managed Service providers. Of course Brenton and I headline the episode with some updates as to what’s happening with technology and the Cloud. I recommend that any Office 365 tenant sold these days also include Office 365 Advanced Threat Protection (ATP), which costs around AU$2.50 per license. ATP does many things but of the things that I really like is that it takes a very deep look into attachments you receive, sandboxing them to see exactly what they do when opened. You can see an example above that I received. In this case, I have set ATP to use dynamic delivery which means I get notified of the ATP scanning process with a place marker as shown above. When I open that place marker I see the above which informs me that the attachment is being checked by ATP. In a short period I see the attachment as normal once ATP has completed checking it for me. ATP is included in E5 but is an add on for other plans but as I said, I consider it a mandatory add on if you are serious about security and minimising the risk of a dodgy attachment being delivered to your business. Azure can do a lot of things including host website using a variety of methods. This month I’ll show you the different ways that you can host web sites in Azure and some best practices. There’ll also be news, updates and Q and A. I hope to see you there.